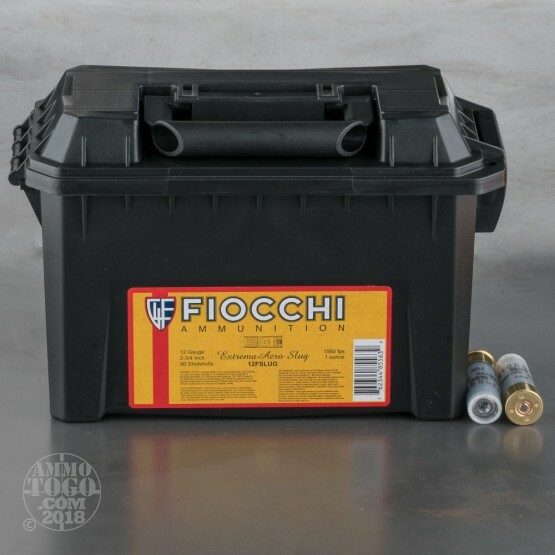 Fiocchi Munizioni has been producing high-quality ammunition in their Italian manufacturing facilities since 1876. However, most of the ammunition they produced for the American market is made in the US at their plant in Ozark, Missouri. 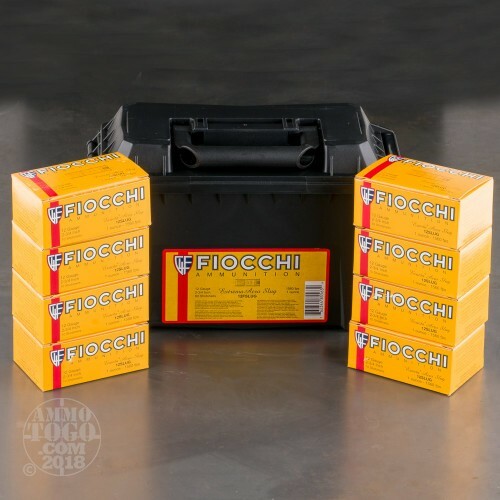 All Fiocchi products deliver quality you can count on and meet either C.I.P. or SAAMI specifications. 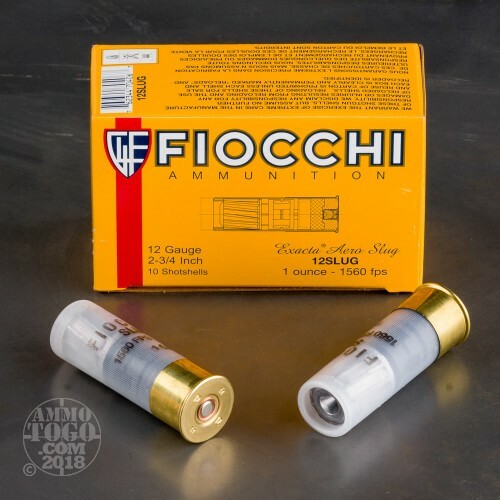 Using the finest in raw materials and quality components, these Fiocchi 12 gauge shotgun shells deliver excellent accuracy. A unique attached wad helps stabilize the slug in flight and deliver more consistent trajectories and downrange accuracy. Each 2 ¾ inch shot shell is loaded with a 1 ounce high velocity Extrema Aero slug. 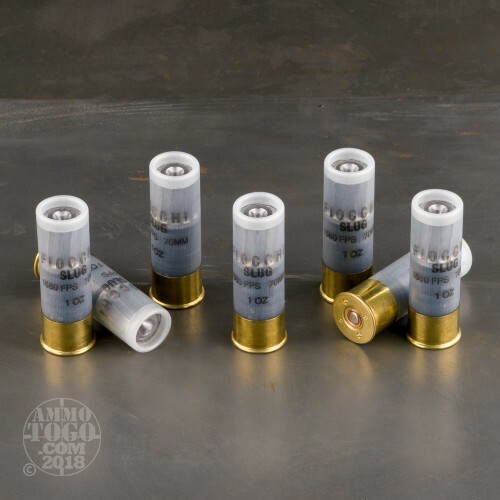 Designed to perform well in both smooth bore and fully rifled barrels, these versatile rounds are ideal for home defense, law enforcement, big game hunting and competition shooting. Producing a muzzle velocity of 1560 feet per second, these 80 rounds come packaged in a handy black plastic Plan ammo box.